Francisco Partners, a global technology-focused private equity firm, has signed a definitive agreement to acquire HealthcareSource, a provider of talent management solutions for healthcare. 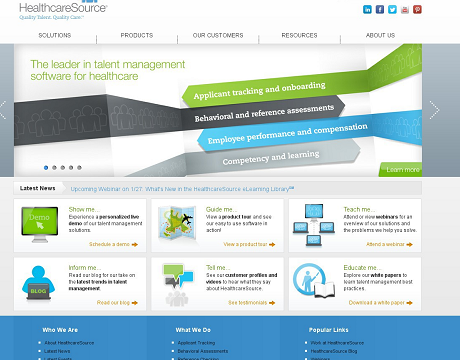 HealthcareSource helps organizations recruit and retain the best workforce possible in order to reduce costs and improve patient experience. The company’s comprehensive suite of solutions includes applicant tracking, behavioral assessments, employee performance, compensation, learning management and eLearning courseware. “HealthcareSource has real momentum, increasing its customer base from 1.000 to 2.500 healthcare clients and demonstrating an ability to capitalize on growing demand for talent solutions in the healthcare sector. It has established an impressive leadership position in the important and growing healthcare talent management market”, noted Ezra Perlman, partner at Francisco Partners.